In many ways, Sacramento is experiencing a Renaissance of sorts right now. That’s because of the newly opened Golden 1 Center in the downtown area. This new arena is solar powered, and that’s a great match for the green theme in the various restaurants that have newly opened in the city this year. In fact, these restaurants source 90% of all their ingredients from locations within 150 miles of the city. This new reincarnation of Sacramento’s first restaurant is the perfect symbol for the rebirth of the foodie scene in the city. The original first opened way back during the Gold Rush era, and it salted for more than 50 years. And though it closed in 1995, the new version (in the new location in Midtown), is up to the challenge of upholding the iconic status of such a famous Sacramento brand. The new chef pays heed to tradition by offering menu items inspired by old classics. The classics dishes are updated with modern ingredients and food preparation methods. The current favorite dish among diners is the ‘Sacramento cioppino’, which is made with oysters, crawdads, and sturgeon. This is the latest entry in the Selland Family Restaurant Group lineup, and lots of foodies have long waited for it to arrive. It’s similar in some ways to the Selland Market Cafes. OBO’ is a fast casual restaurant, where you order at the counter and a server brings the food to your table. But it’s different too since the emphasis here is on Italian cuisine. Also, there’s a full bar, so your choice of beverage isn’t limited to just beer and wine. It’s a true local hangout, but of course, visitors are always welcome. It’s a great place to grab a bite when you’re too tired to cook. And it’s also a wonderful spot where you can just hang out with friends. This is literally an award-winning restaurant. It has received recognition for “Best Opening Date and Location in Tandem with the New Arena”. 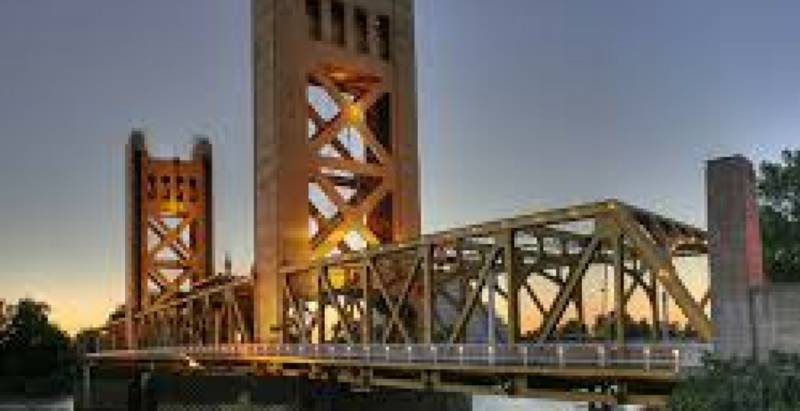 Yes, there was an award for that—lest you forget, Sacramento is in California. They do things differently here. In any case, it is true that they timed their opening just right so that visitors to the new arena can become familiar with their place. It’s just across the street from Golden 1 Center. Here, Mexican cuisine reigns. You can get elote and queso fundido, along with a bevy of cocktails. The artisan tacos offer a wide variety of options, as you can select carnitas, rockfish, ahi, duck, and of course the ubiquitous vegetarian. Enjoy your food with drinks from any of the two bars, and pass the time with other sports fans with lots of TV screens to enjoy the games next door. This is the next door neighbor to El Rey, and its location isn’t a coincidence. The same team owns both restaurants. But that doesn’t mean the two establishments are the same. At Malt & Mash, you have an Irish pub instead. It just so happens that the menu isn’t really strictly limited to Irish grub. Sure, you have traditional dishes like beer-battered fish and chips. After all, it is a pub. And it’s got a patio that’s right in front of the new arena. That makes it a prime spot for holidays, party events, and the big St. Patrick’s Day bashes. But you can also try more imaginative fare as well. Here’s one foodie favorite: the duck confit poutine. There’s an ancient riddle that asks: Which of the two barbers in town is the better barber? The answer is the one with the worse haircut. The same principle applies when it comes to finding the restaurant with the best food. You can do that by finding out where most of the chefs eat when they don’t dine in their own restaurant. In Sacramento, the restaurant where most chefs dine is Kru. Now it’s transferring to a new location, in the same building as OBO’. It offers new digs, with a larger waiting area and seating for diners, private dining spaces, a full-sized bar, and a patio. There’s even a retail Bottle Shop for those who enjoy the new drink they just tried in the bar. As for the menu, it will include yakitori. These new restaurants offer new experiences and delights to signal the rejuvenation of the downtown area in Sacramento. Visit them and experience for yourself the gustatory delights that await your adventurous palate.